How Do Universities Develop Students’ Intercultural Competence? And why is Cultural Detective quickly becoming a preferred tool? University of Southern California is the most international campus in the USA. 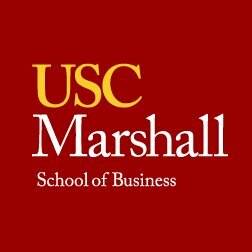 The Marshall School of Business at USC recognizes the value of intercultural competence and is committed to truly developing it in their students. They know that the mere experience of study abroad, or working in a multicultural team, does not build competence. Experience is not learning. Learning is the sense that we make of our experience. USC knows that research shows developing competence requires ongoing, structured reflection on the part of students—with faculty guidance. They have been using Cultural Detective for the past two years, in a growing variety of programs, because they realize the tool helps them accomplish their goals. At Cultural Detective we are particularly impressed with something USC has done: they have students generate learning material for the following semester. For example, while students are abroad and after they return, they are required to upload stories of intercultural interaction from their own experience into Cultural Detective Online. They are also required to debrief those stories, to make sense from them. Each program and each semester, faculty award prizes for the “best of” these stories and debriefs, and honor the student-authors by using them in the pre-departure orientation for the next cadre of students. I often say that launching a book or a tool into the world is much like having a child: you nurture them to the best of your ability, and at some point you just have to pray that they do good in the world. Children become independent, with minds and lives of their own. Books and tools are used by people in ways we, the authors and creators, can not always control, despite our best efforts. It’s people like the talented professionals at USC who make us very, very proud of the tool we have created. They are putting it to excellent use and students are learning lifelong skills. We know you all are doing some incredible things with our tools. Please, share your story and make sure we know about it! This entry was posted in Customer Feedback, How-to and tagged Business, Cultural Detective, diversity and inclusion, Education, Education and Training, global business effectiveness, global diversity, Intercultural Communication, intercultural competence, multicultural society, short-term study away, study abroad, university by Dianne Hofner Saphiere. Bookmark the permalink.